Today, Dr Peter Harries conveyed the sad news of the passing of his long time friend Veronica Overton-Low. Her sister Jacquie said that she suffered a fatal heart attack this morning. Peter reports that they remained very close over the years and that Veronica was his wife Patricia May’s best friend. Veronica Overton was a young actress when she appeared in Coralie Condon’s television production of ‘The Good Oil’. A musical comedy directed by Max Bostock in which she performed as a singer and dancer for TVW Channel 7. 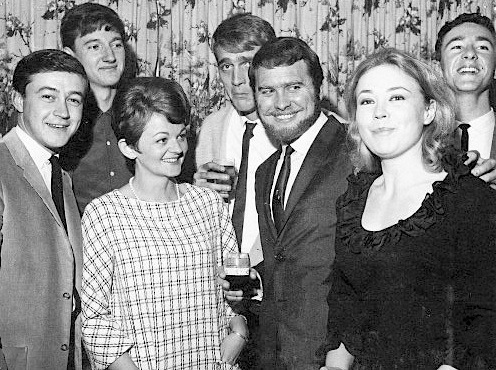 Veronica Overton was in the cast of TVW Channel 7’s 1965 production of ‘The Good Oil’ before going on to be a popular personality on STW Channel 9. The show starred: Jill Perryman, Kevan Johnston, Margot Robertson, Vic Hawkins, Bill McPherson, John Chalton, Neville Teede, Philip Porter, Joan Bruce, Danni Harford and the Channel 7 Dancers Jennifer Hayden, Karen Obbs, Janet Ladner, Adrienne O’Meara, Gay Chandler and Clarice Page. Produced, story, music and lyrics by Coralie Condon, Directed by Max Bostock, Set Design by Brian Lever, Technical Direction by Alex Stewart, Lighting Direction by Pat Cahill and the Floor Manager was John Easton, who also made a brief appearance in the Western Australian produced show. 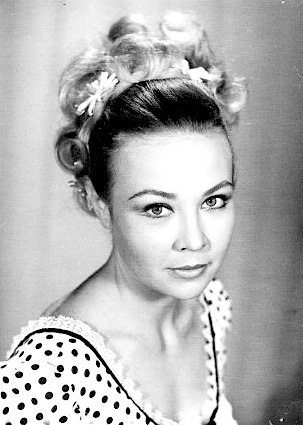 In 1966, Veronica became a regular face on STW Channel 9 and a household name. 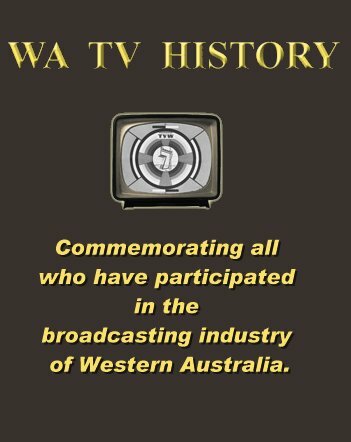 Dr Peter Harries explains that Veronica was working in a Melbourne Advertising Agency when her Mother coaxed her back to Perth and audition for STW9 Production Manager Denzil Howson. Soon Veronica was appearing on the Channel Niners Club children’s program with Peter Harries, Peter Piccini, Useless Eustance (Alan Graham the station Newsreader), Ron Blaskett and Gerry Gee. Audrey Long (Barnaby) recalls how she and Veronica would co-host Roundabout with Lloyd Lawson. Veronica hosted the SAS Channel 10 Adelaide version of Early Birds in the early 1970s. 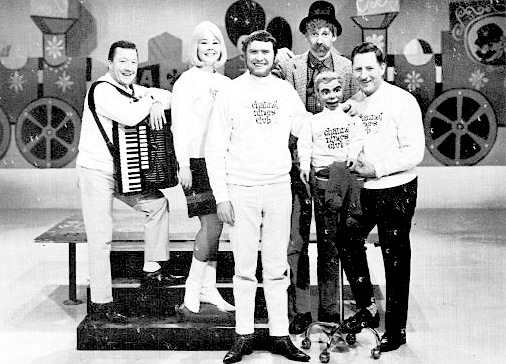 The show was presented by Veronica and Fat Cat and was a mix of cartoons, competitions and music clips. 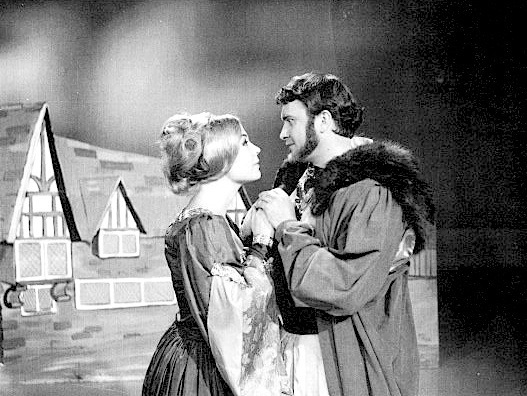 During one telecast, Veronica resigned on camera, saying “Goodbye children. Fat Cat will be back on Monday, but I won’t”. Which was an interesting predicament as Fat Cat didn’t talk. Didi James took over the show for a short while and later Jane Reilly became host. 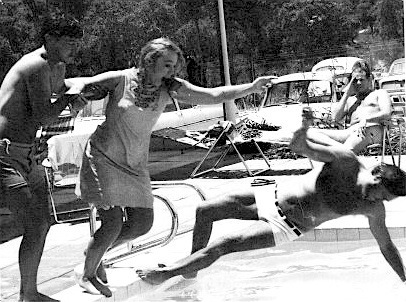 Veronica and her late husband John Low also managed a talent agency for radio and TV. Audrey said Veronica was a gorgeous person, very bright and vivacious and a wonderful person to have a conversation with. Audrey last spoke to Veronica about 18 months ago at the ABC Shop in Carousel. Veronica will surely be missed after reaching the relatively young age of 66. Zyg Woltersdorf, the President of The Roleystone Theatre, has kindly providing the following insight to Veronica’s recent times with the theatre company. Veronica a very lovely lady whose love of Theatre was unbelievable. She would help any budding actor and director to improve their craft. Her directoral debut at Roleystone was the musical “The Fantastics”, She also directed a One Act play written by her sister Jackie called “The Chair”. She appeared in 2 pantomimes “Jack and the Hasbeans” and “Mother Goose” as our beloved fairy where she showed her tremendous ability and talent to take on any role and make it her own. She assisted on numerous occasions to run our Junior Workshops where she assisted in choreography, diction and stage movement. Her previous experience at Channel Nine in Children’s Television came to the fore many times. She will be sadly missed by all members of Roleystone Theatre not only “On Stage” but Front Of House, and all aspects of theatre life. 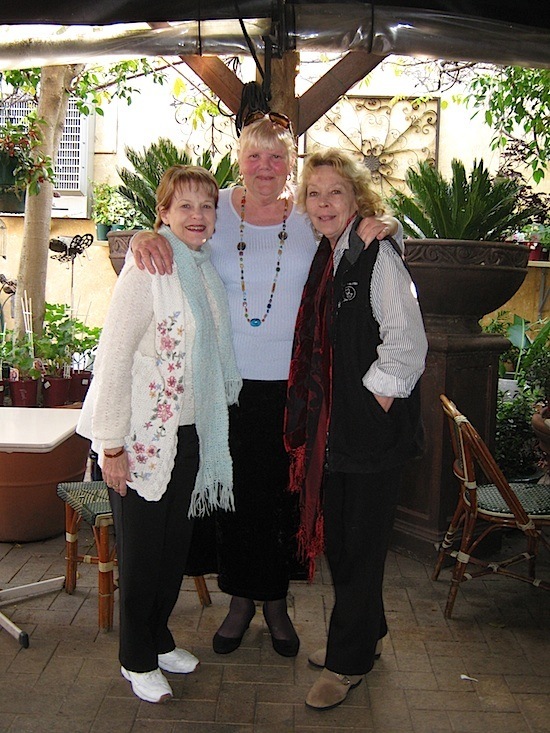 I last saw Ronnie in July when we met for lunch with Nola Smith, who in 1965 to 1967 was STW9’s Make-up artist. I have enclosed a photo taken on our last happy day together. Ronnie has always been a wonderful friend these past 45 years and I will miss her dearly. 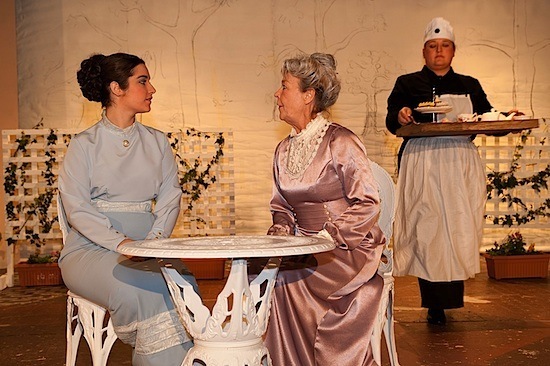 Photographs from “MY FAIR LADY” with Veronica Overton-Low performing at the Roleystone Theatre just months ago. 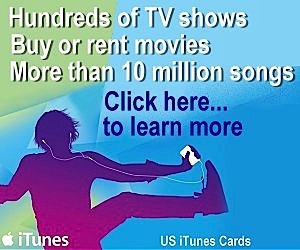 Courtesy of Zyg Woltersdorf Roleystone Theatre President. so sad to hear of veronica, i have many wonderful memories! I am so sorry to hear of Veronica’s early passing. She had the most musical voice and extraordinary artistry. Amazing to think she and sister Jacquie’s parents came out from the U.K. (and India) to settle and raise their children in Laverton and Leonora! Quite the young English ladies. Veronica inspired many and will be remembered most fondly and forever. As always, well done Ken! Dear Ronnie will be so missed. She was a wonderful, vivacious, loving warm friend. Farewell Veronica. Veronica always will be a bright beautiful person – she was my agent, mentor and friend. Without her I would not have had such wonderful memories of my time working in Australian television. Be it her careful advice as an agent, a kind word as a coach or bloody good glass of wine as a friend, Ill miss her. Glad she gets to see John again. I have innumerable memories of Veronica stretching back for thirty years. They involve her parents and sister Jacqui, her wedding to John… Some are absurd ones from our teaching days together and others are equally hilarious or alternatively sad. Over the 25 years since that night I have often cited the dog biscuit necklace as an example of ingenuity and creativity. Living now as I do in Tasmania, I will miss the particular voice tone that infused her greeting when she knew it was me on the telephone…and I miss it now. Hello Avocado it’s me Vik. I have known Veronica for probably 30yrs. We have happy times in many shows together and one that stands out is ‘I Remember Mama’. 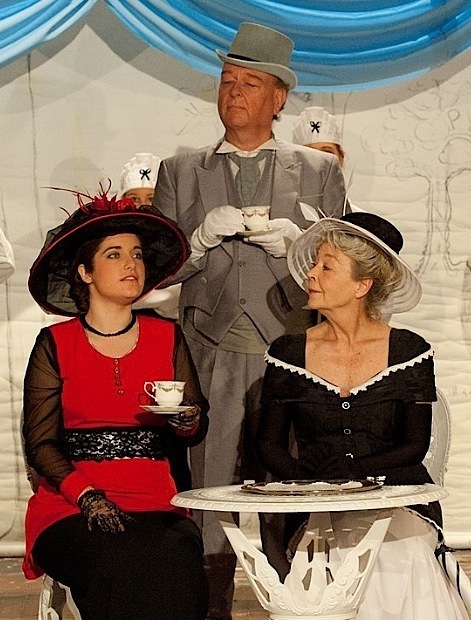 John and Veronica directed it and also played in it at the Mosman Park Little Theatre. Veronica lived down the road from me in Fremantle and now in Kelmscott. We have read alot together, performed alot together, gone to movies and ballet together, discussed ‘the meaning of life’ and never found an answer!One morning Veronica was a little sad and on my way to work I left an avocado in her letter box, I wrote on it ‘don’t be sad, have an avocado’. I love you Avocado, you are my soul sister,we will always be together, kiss John for me. I will miss you terribly, Dearheart. 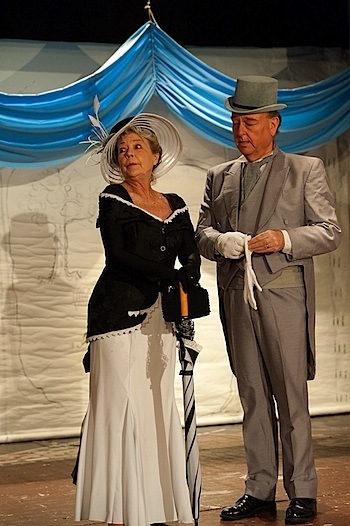 I will always remember Veronica as Mrs Higgins in Roleystone Theatre’s My Fair Lady. I played along side such an incredible talent. All the while having no idea the depth of her experience. It was Veronica who showed me that i have the strength to get through it no matter what. It was Veronica who read lines with me untill i got them right. Veronica who did my hair before every performance.Veronica who amazed me with her talent every night. It is Veronica who shall inspire me always in times of struggle, to be strong and always gracious. Thank you Veronica for your friendship. You and I will have tea at Ascot again. My Heartfelt thoughts go to all the family members at the loss of such an amazing woman for her example of living to others in their live’s as she trod the boards, in her journey through life. May her legacy remain with everyone who knew her and one day we can meet up with her again when its our turn to reach for the stars in the sky of which she is one now and forever more. rest in the joy VERONICA of knowing that you were loved and now are sadly missed by those who knew you. I shall miss you Veronica. I am a better person for having known you. I first knew Veronica as her Avon lady in Kelmscott – I can picture Veronica and Jazz greeting me at the front gate as I arrived to deliver the Avon and have a chat. I remember the beautiful bond between Veronica and her gorgeous dog. Veronica’s recent performance in My Fair Lady was amazing and delightful – an honour to have been part of the audience watching this wonderful production. The news of Veronica’s passing shocked and saddened me when I received a phone call from Jacquie this morning. It is a comfort to know there will be joyous happy reunions at Rainbow bridge. Rest in peace together Veronica with your beloved animals. Although your scene has ended and the stage lights are now faded, you will always be a character that thespians remember fondly. Though shocked and saddened by your sudden exit, the show was a success and your audience is proud to have watched you tread the boards of this life, and some have even felt the honour of treading them alongside you. You will be missed and stories will be recounted with loving remembrance. Great love and admiration from one of your Fantastiks. Wonderful memories of Veronica and the Overton’s from Walter Street/ Smith Street days. A vibrant and larger than life personality. I had the pleasure of working with Veronica at the Patch Theatre (then in William Street) Perth in the late 60’s. Saddened to hear of her passing. I played alongside her in the King and I, about the Thai king. Ironicly today I am a missionary in Thailand. God bless Veronica. I thought I should “Google” Veronica, having not spoken to her for years, but I was too late. Living (?) in Sydney, I was unaware of her passing. I worked with her at Channel Nine in the late 60s, and she was always jolly company. I NEED jolly company. Depending where you are, Veronica, I will probably see you soon. I was watching The Logies tonight when I saw displayed a photo in memory of Veronica Overton-Low.I googled her name and discovered she is the same Veronica I saw on Fat Cat and Friends in Adelaide.I felt sad as I remember her with good memories from my primary school days.I am now 46 years old.